As my colleague mentioned in her previous post about the wonders of the NAXOS music library, country blues legend Big Bill Broonzy (whose music can be heard in streaming form via the aforementioned resource) did indeed grace Ames with his larger-than-life presence for a time. 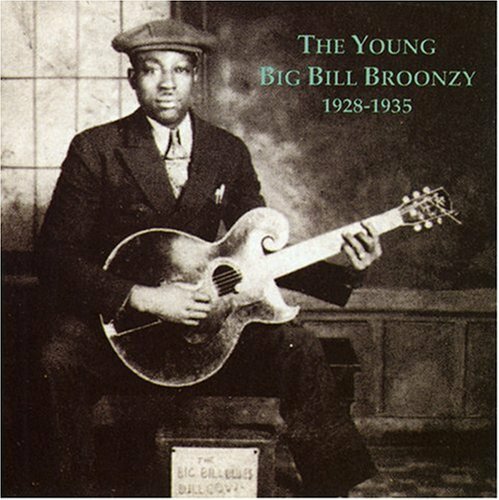 Broonzy, Big Bill. Complete Recorded Works in Chronological Order (Document Records, 1991-1995). This is a 12-CD set that spans the dates November 1927 – 1947. Each one of these discs has its own call number and they’re all sequential: The call number for disc one is DISC 001 986, and at the other end of the range, the call number for disc twelve is DISC 001 997. Broonzy, Big Bill. The Bill Broonzy Story (Verve, 1960, reissued in 1999). This is a 3-CD set that includes biographical notes by Bill Randle and program notes reprinted from the original 5-LP box set liner notes. Recorded in Chicago, July 12 and 13, 1957 (DISC 001 776). Additionally, Broonzy is featured on a number of compilation recordings owned by the ISU Library, such as Brother, Can You Spare a Dime? American Song During the Great Depression (DISC 004 177), and Classic Protest Songs from Smithsonian Folkways (DISC 007 055). Riesman, Bob. I Feel So Good: The Life and Times of Big Bill Broonzy. (U of Chicago Press, 2011.) Call number: ML420 B78 R54 2011. This is a very recent acquisition, and includes an “appreciation” written by Pete Townshend. House, Roger. 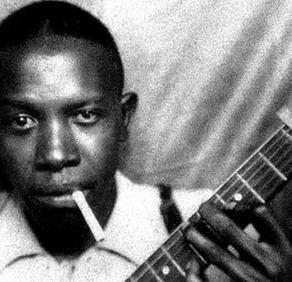 Blue Smoke: The Recorded Journey of Big Bill Broonzy. (Louisiana State UP, 2010.) Coming soon. Please check out some of the above materials (pun intended) if you like what you hear on NAXOS, or just want to learn more about a national treasure with an almost-forgotten Iowa State University connection. *Thanks to the staff of the Iowa State University Library Archives for their help in procuring some of the information included in this post.